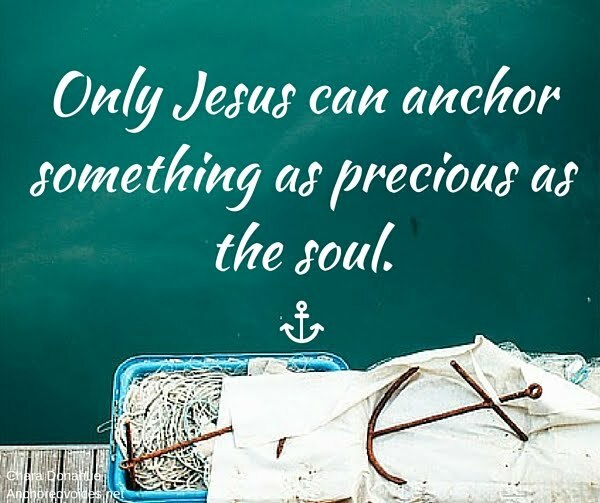 Anchored Voices is a space dedicated to stories of lives marked by hope in Jesus Christ. Every story shared here speaks to God's grace has met women in the storms of their lives with Hope in Christ. But what about the woman who still feels lost? The one who is overwhelmed by the demands of life, relationships, or heartbreak. Who is this God that people claim saves and rescues? Who is this Jesus? In the gospel of John, Jesus says he the bread of life, the light of the world, the door, and the good shepherd. He claims he is the resurrection and the life, and the way , the truth, and the life. He is the one who lived a sinless life in order to provide the way to God; He came to forgive sin and offer eternal life to those lost in a dying world. This brings great hope to those who - like me - know they are in need of help, rescue, and of hope beyond anything the world has to offer. To those unfamiliar with reading the bible it can feel overwhelming, and easy to get lost in the thousands of years of storylines. Sometimes we simply need the gospel, because while the walk of faith can seem complex, coming to the one at the center of it, is not. The gospel simply is, as John Piper says, "the news that Jesus Christ, the Righteous One, died for our sins and rose again, eternally triumphant over all his enemies, so that there is now no condemnation for those who believe, but only everlasting joy." We are looking for hope that will not disappoint and the only place that can be found is in the arms of Jesus. Relationships fail, change comes, and dreams die, but Jesus was, is, and always will be enough. We are not asked to walk this life alone, when we trust Him as savior He is always with us. Do you want Him in your life? All you have to do trust Him. Want to grow in your faith? Read the Bible for yourself, see His life in the book of John, and find a loving Bible-based church in your area. 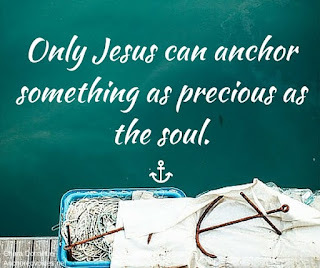 Only Jesus can anchor something as precious as the soul.